The school office hours are from 8:00 a.m. to 2:20 p.m. The Principal is available from 9:00 a.m. to 10:00 a.m. on Mondays, Wednesdays and Fridays. Otherwise by appointment only. Parents or Guardians should not meet teachers during school hours without the permission of the Principal and without a previous appointment as the member of the Staff may not leave the classroom during a teaching period. Students are advised to be in school by 7:55 a.m. Any child coming after 8:05 a.m will be considered late. 1st bell at 8:00 a.m. This bell indicates that students assemble downstairs for the Morning Assembly. 2nd bell at 8.05 a.m. This indicates that Assembly begins. K.G. 8:05 a.m. - 1:00 p.m. I 8:05 a.m. - 1:30 p.m.
II-III 8:05 a.m. - 1:45 p.m.
IV-V 8:05 a.m. - 2:10 p.m.
VI-XII 8:05 a.m. - 2:20 p.m. Assembly : Begins at 8:05 a.m. 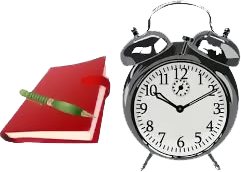 The school office hours are from 9:00 a.m. to 11:00 a.m. The Principal is available from 9:00 a.m. to 11:00 a.m. on Mondays, Wednesdays and Fridays. Otherwise by appointment only. Parents or Guardians should not meet teachers during school hours without the permission of the Principal and without a previous appointment as the member of the Staff may not leave the classroom during a teaching period..